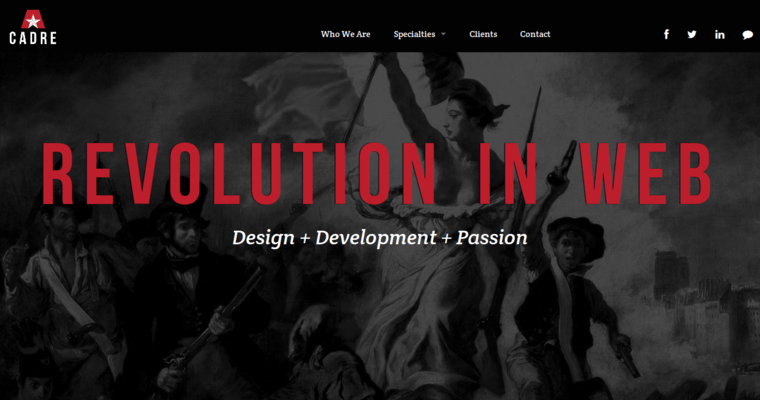 Cadre is a Web design and marketing firm that specializes in brand design, development and presence on the Web. 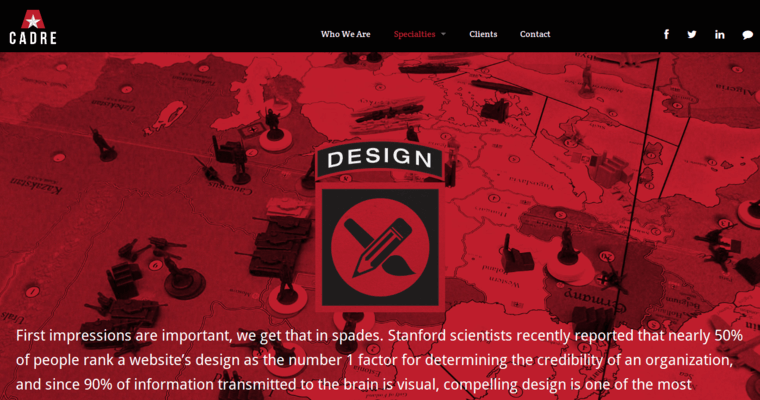 The company is run by a committed group of talented designers and marketing specialists with experience developing compelling Web concepts, efficient technology, effective marketing campaigns and innovative Web technology. They design website architecture with the end-user experience in mind, ensuring that each aspect of the website flows naturally and that the user receives the optimal experience. As software technology developers, the members of Cadre use their decades of experience to ensure an impressive experience for all their clients. Because they have already accomplished a large number of high-profile projects, they have a great instinct for choosing the best direction for a client based on individual needs. 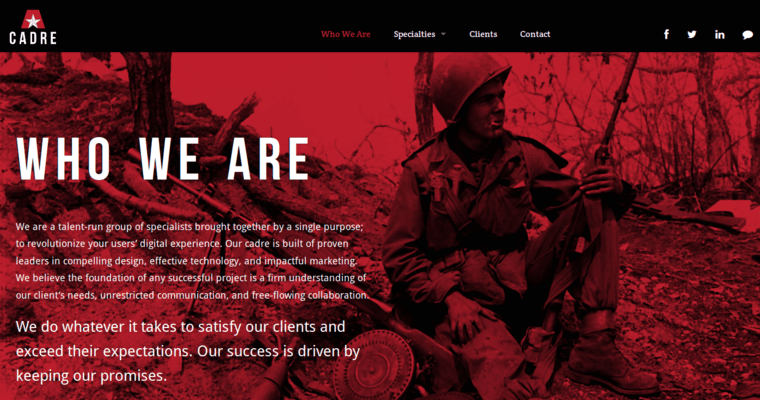 Cadre not only specializes in designing websites from the ground up, they continue to work with clients to ensure their projects are successful in the long run.